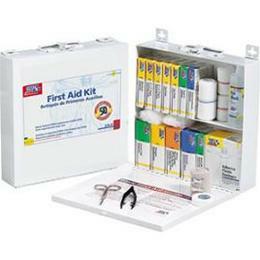 Bulk First Aid Kits are designed for easy transport - in a car, truck, van or any other vehicle. They also work well in the office, home or class room. Meets or exceeds Federal OSHA regulation 1910.151b. Each kit also features English and Spanish labels. Contents subject to change without notice.